Resurrection Bay is a bay on the Kenai Peninsula of Alaska, United States. Its main settlement is Seward, located at the head of the bay. It received its name from Alexandr Baranov, who was forced to retreat into the bay during a bad storm in the Gulf of Alaska. When the storm settled it was Easter Sunday, so the bay and nearby Resurrection River were named in honor of it. 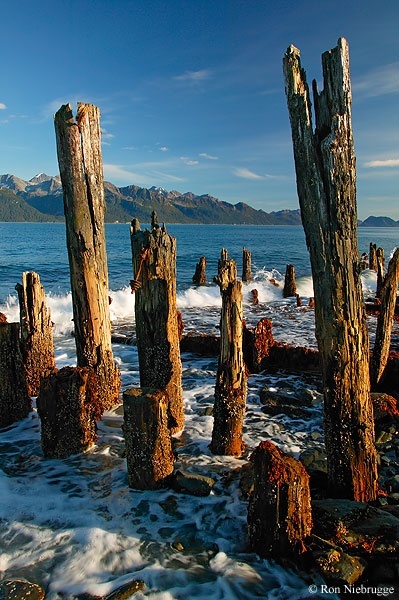 Resurrection Bay is the location of Caines Head, at the summit of which Fort McGilvray is situated (650 feet above sea level). This fortification was constructed by the United States Armed Forces to defend against a possible invasion by the Imperial Japanese Army during World War II. The Bay remains ice-free even in winter, making it easily navigable.